A pendant of a tree with trunk and branches composed of a treble clef, rooted into the frame. A heavy piece for it's size. This stout amulet is heavy for it's size with lots of detail in bark and branch and includes a back bail hidden behind the piece to hang on your cord or chain. Perfect for music students and lovers of music everywhere. 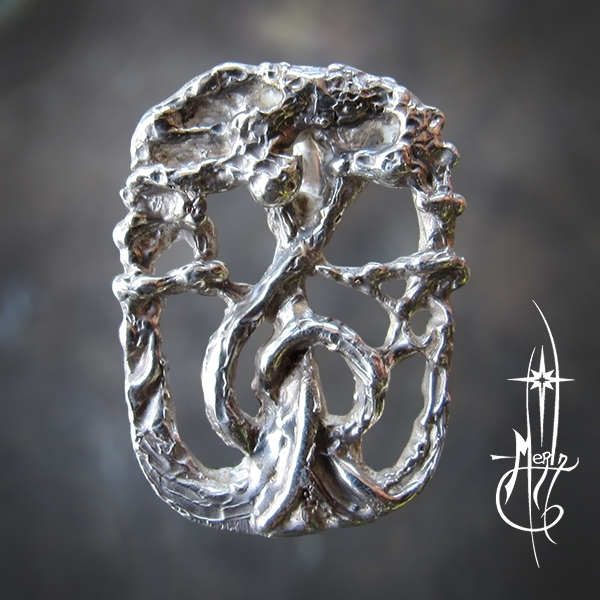 A pendant of a tree with the trunk and branches composed of a treble clef, rooted into the frame of the design. A heavy piece for it's size. A back bail behind the amulet to hang your chain or cord.